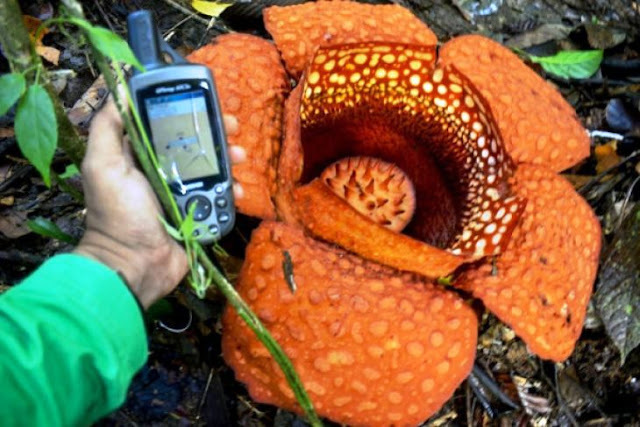 A rare Rafflesia kemumu flower is currently in full bloom in a forest area near Tebing Kaning Village, North Bengkulu District, Bengkulu Province. "The flower has been in full bloom for two days," Riki Reptian, coordinator of the North Bengkulu Rare Flower Community, stated here, Monday. The forest serves as a habitat for Rafflesia kemumu, which was identified as a new species of the Rafflesia flower by Agus Susatya, a forestry lecturer at the University of Bengkulu, in 2017. Bengkulu is currently home to five species of Rafflesia flowers: Rafflesia arnoldii, Rafflesia bengkuluensis, Rafflesia gadutensis, Rafflesia hasselti, and Rafflesia kemumu. Three species of Rafflesia -- Rafflesia arnoldii, Rafflesia kemumu, and Rafflesia gadutensis -- are found in Bengkulu`s Boven Lais protected forest. "The three species are unique and have become icons of the tourism industry in North Bengkulu," he noted. Rafflesia kemumu is expected to remain in full bloom for the next three days. The diameter of Rafflesia kemumu is similar to that of Rafflesia gadutensis but smaller than that of Rafflesia arnoldii.